Despite the overwhelming importance of Early Childhood Development (ECD), and its critical contribution to Millennium Development Goals 2 and 3, as well as, the realisation of Education for All (EFA) objectives, the political class has continued to show lack of commitment to human capital development. In fact, the failure of states to place a high premium on basic education has found vent in their refusal to access intervention fund from the Universal Basic Education Commission (UBEC).According to the agency, as at August 31, 2018, a whopping N51b was not accessed by states, while as at same date, only 13 of the 36 states and Abuja accessed the 2017 UBE matching grants totaling N18, 008, 804, 569.70. In fact, as politics take centre stage, stakeholders are worried that the UBEC intervention fund not accessed could jump to over N80b as things may take a while to settle down. For now, some states may be concerned with draining their treasuries to fund election, and it might take a while to stabilise their economies, post-election. UBEC is an intervention and regulatory agency saddled with the task of promoting uniform, qualitative and functional basic education, as well as, coordinating all aspects of Universal Basic Education (UBE) programme implementation. The UBE Programme was introduced in 1999 by the Federal Government as a reform programme to provide greater access to, and ensure quality of basic education throughout the country, through uninterrupted access to nine-year formal education, that is, six years of primary education, and three years of junior secondary education, as well as providing Early Childhood Care Development and Education (ECCDE). But across the country, the sheer dearth of facilities to support basic learning, makes mockery of government’s much-talked about desire to improve the fortunes of education. This, in addition to the poor quality of teachers leaves a lot to be desired, and question government’s commitment to realising its educational goals. The Executive Secretary of the UBEC, Dr. Hamid Bobboyi, in an interview with The Guardian, listed the 13 states and the Federal Capital Territory (FCT) that have so far accessed the 2017 UBE matching grants totaling N18, 008, 804, 569.70 as at August 31, 2018 to include Jigawa, Kebbi, and Sokoto states (North West Zone); Borno, Gombe and Taraba states (North East Zone); Kogi and the FCT (North Central Zone); Lagos, Osun and Oyo states (South West Zone); Cross River, Delta and Rivers states (South South Zone), while no state in the South East has taken advantage of the intervention fund for 2017. Giving a breakdown of the total matching grants yet to be accessed, which stood at N50, 988, 931, 720. 66 as at August 31, 2018, Bobboyi said in 2014, N2, 175, 673, 787. 40 was not accessed, while the figure for 2015 was N5, 341, 133, 791. 96. For the year 2016, matching grants of N13, 896, 230, 919. 65 was not touched and the figure for 2017, which is the largest is N29, 585, 893, 221. 65. 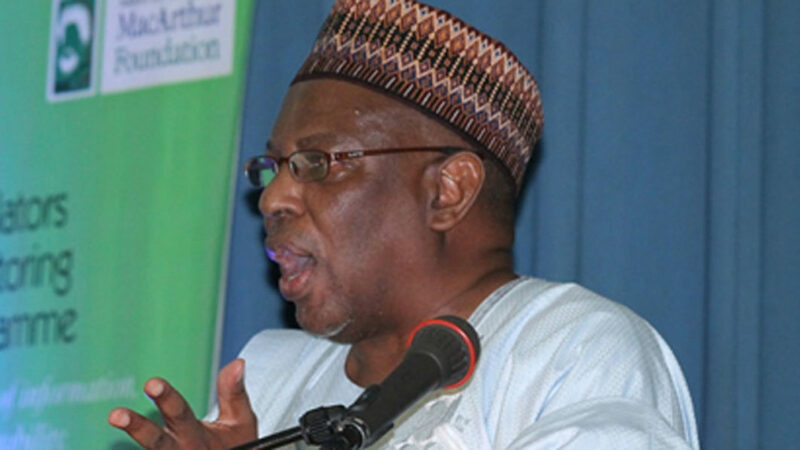 Worried at the rate, which states fail to access the intervention fund, the executive secretary said the “commission adopted a number of strategies in order to reduce the high rate of failure to access the matching grant. These include, scale-up advocacy visit to state governors and other relevant stakeholders, presentations at the National Executive Council (NEC) meetings and at the Governors’ Forum meetings, and publication in national dailies etc,” adding that apart from lack of political will by state governors, “there is the issue of priority needs. Some states make basic education as a top priority need, while others don’t.” On whether there were parts of the UBE Act that needed to be tinkered with in order to make states more committed to improving basic education, the executive secretary responded in the affirmative, saying, “the possibility of states forfeiting matching grant funds in excess of two years not utilised,” and the “suspension of states that misuse UBE funds from accessing any form of additional funds from UBEC until such misused funds have been fully accounted for,” would actually be of great help. He added: “The establishment and monitoring of School-based Management Committee (SBMCs) by states due to SBMCs critical roles to ensure the commitment and involvement of parents, public officials, community members and voluntary organisations in school development initiatives is key. UBEC has put measures in place to track funds released to state governments for the implementation of basic education. Even though some stakeholders are suspicious of the success of such moves, Bobboyi insists that quarterly financial monitoring exercise is bearing fruits. In view of tendencies by contractors to pockets contract sums and walk away, how is UBEC’s partnership with the Independent Corrupt Practices Commission (ICPC) and other anti-corruption agencies adding up to the fight against such menace, Bobboyi responded, “UBEC’s contractors are hardly given the opportunity to do away with contract sums at the expense of the projects or assignments contracted to them. This is due to the strict, step-by-step application of the Procurement Act process and procedures in handling all UBEC contracts. “However, to reinforce our principle of strict adherence to the rule of law, the commission collaborates with ICPC and EFCC to strengthen institutional capacities of both UBEC and SUBEB officials, through workshops on corrupt practices and how to avoid them. Contractors are tackled head-on. In a few cases, contractors were made to pay back sums of money that were by default paid to them in excess of their contractual sums, as well as, made to return to sites on occasions of delay or abscondment from sites.